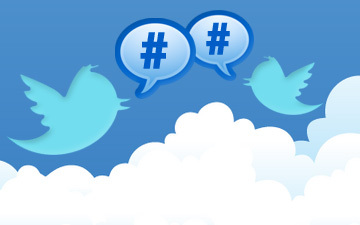 If you are already a self-proclaimed “Tweeter” please reply to comments and retweet using the hashtag #IDPDchat. If you are new to the Twitter world signing up for an account simply requires your name and an email address. This is your chance to have YOUR voice be heard! This special Twitter Chat will focus on how public health leaders can work together to increase awareness of the barriers to healthy lives facing people with disabilities by promoting an inclusive and accessible health environment for all. Topics include Healthy Living, Inclusion and Health Access, and Emergency Preparedness. Help us remove barriers and increase access to health care services and public health programs for people with disabilities! Presented by Centers for Disease Control & Prevention (CDC) with participation from other disability and health organizations. A feature article on how access to quality and timely health care has the potential to reduce health disparities in people with disabilities. New Flicker.com photo album allowing you to take a deeper look into the lives of people living with a disability. This album highlights their full and active lives telling their stories in pictures. @NCHPAD (https://twitter.com/NCHPAD) will be there, will you? Allison Hoit, MS, ACSM-HFS, is a Senior Information Specialist with NCHPAD. Ms. Hoit has a passion for living a healthy lifestyle and strongly believes in leading by example. You can find her out running the rolling hills of Birmingham, collecting fresh produce at a local Farmer’s Market, unwinding in a hot yoga class, and exchanging her current desk arrangement for a stability ball or DIY standing desk. She also enjoys educating and connecting with others through her Training Corner in the NCHPAD news, blogging on behalf of NCHPAD for the U.S. Department of Health & Human Services Office of Disease Prevention & Health Promotion (ODPHP)’s Be Active Your Way Blog, and using social media via her professional (Allison_NCHPAD) twitter account. Ms. Hoit actively works to propel the mission of NCHPAD forward in building healthy, inclusive communities for all.